Until recently, bucket making was a very important profession. 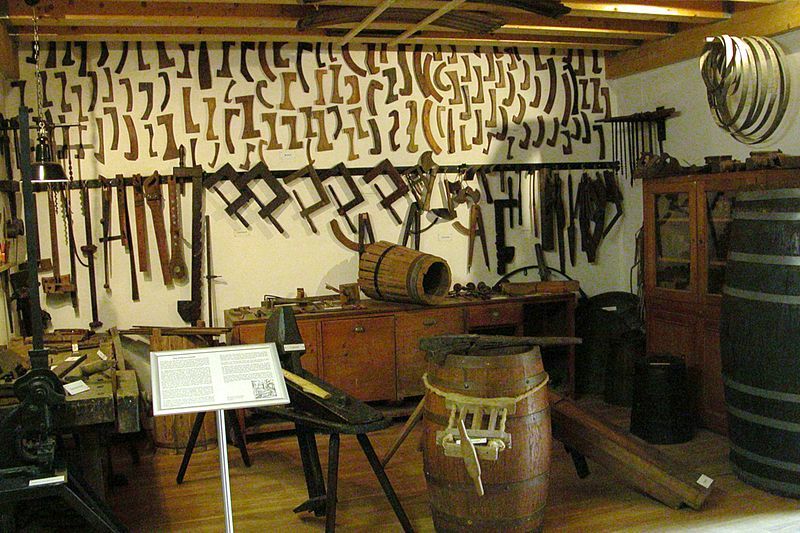 Every town had bucket makers, or “Cooper.” This noble profession has mostly diminished into obscurity, but examples of the Cooper’s workshop are still immortalized in museums. Wooden buckets and barrels are made from a series of very precisely shaped staves. An extreme degree of precision is needed to make sure the vessels remained watertight for many years. As a result, old fashioned bucket making is a very labor intensive process, which is why it’s done by highly skilled specialists. Stave based barrels are still being used in the boozy industries, for certain cask-aged whiskey or wines. In fact, so few Coopers remain that many barrels being used are very old – and their value steadily increases as proper wooden barrels become harder to commission. If you’re really determined, you can still get wooden buckets! I’ve often discovered them on offer at crafts fairs, usually for over 100$ apiece. 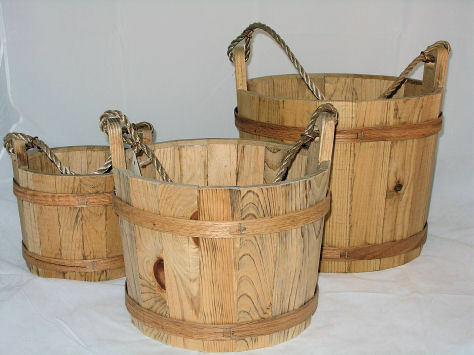 The Amish are still manufacturing wooden buckets in quantity, which you can find online for $20 – $35 each. Hello, I recently purchased an appliance of sorts that was possibly used for making wooden buckets. Could I send you a picture of it for your comments? If so, to whom do I send the attached picture to? I’m a nut for antique unknowns! Thank you. I have been making wooden buckets by hand and research them also. I would be happy to take a look.